It was a crucial victory. 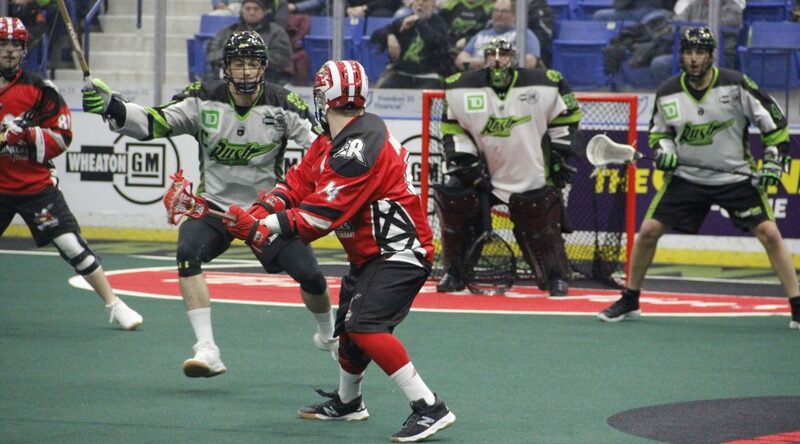 The Riggers (5-4) improved to top spot in the West Division Saturday, defeating the Saskatchewan Rush (3-4) for the first time since April 2017 with a commanding 17-12 triumph. The win also marked the Roughnecks’ first victory at the Sasktel Centre. It took a big effort, though, as the Rush came out hot with two goals to open the game, and led 5-2 after the first quarter. The Riggers managed to bite back in the second, though, tying it at seven heading into halftime. And when the third quarter came around, they exploded. The Riggers put away five straight goals to open the second half, and then scored five more in the final frame to solidify their win.